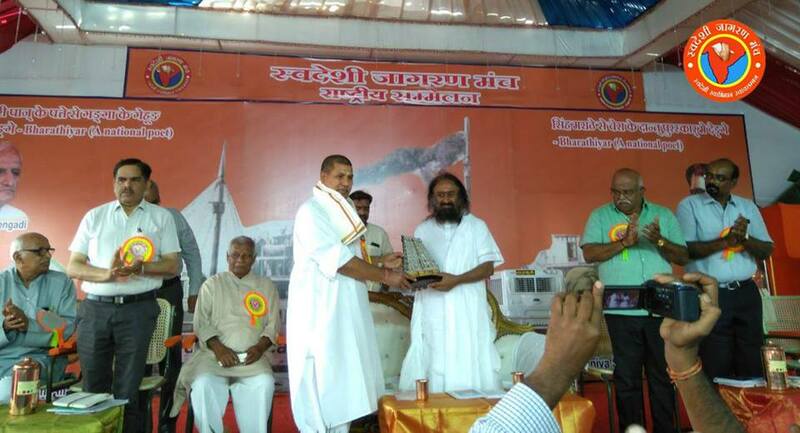 13th Akhil Bharatiya Sammelan of SJM is inaugurated by Param Poojyniya Shri Shri Ravi Shankar ji. On this occasion he said that we all should be proud of our heritage and culture. He has drawn the attention of SJM that some NGO’s are working in the interest of Multinational corporations by questioning/raising issues at different constitutional and policy making platforms relating to our Trade, Industry, Agriculture policies. So that foreign MNC’s could get the space. SJM should identify those points. Today it is need of the time that Yoga & Udyog should go together hand in hand. In past years there is so much progress in infrastructure building and connectivity in the villages. We have to use if for expansion of our agriculture, trade and industry. Shri Arun Ojha, National Convenor of SJM in its address said that DATA colonization is a new threat before India. Developed nations collect DATA from developing nations, analyise it and sell it back to them. We should be careful about this in policy making process. Education and health sectors are becoming commercial and highly profit oriented. In America in recent report put in the senate of Congress, it says that there were 24 lakhs unnecessary medical operation done in one year. In this process $4 bn were spent and 12,000 persons died. Increasing economic disparity, rising unemployment, urbanization and its related problems, Environmental loss and Agrarian Distress are the results of present model of development. Time has come to reconsider the present direction of science and technology. Only Swadeshi Model of development can show us the way. Shri Ajay Patki (Akhil Bharatiya Vichar Vibhag Pramukh) briefed the delegates about the long journey, struggles and achievements of SJM. Shri Deepak Sharma (Akhil Bharatiya Prachar Pramukh) said that this is the first ever rastriya sammelan of SJM which will be live telecast on social media channels in Facebook, Youtube, Twitter. 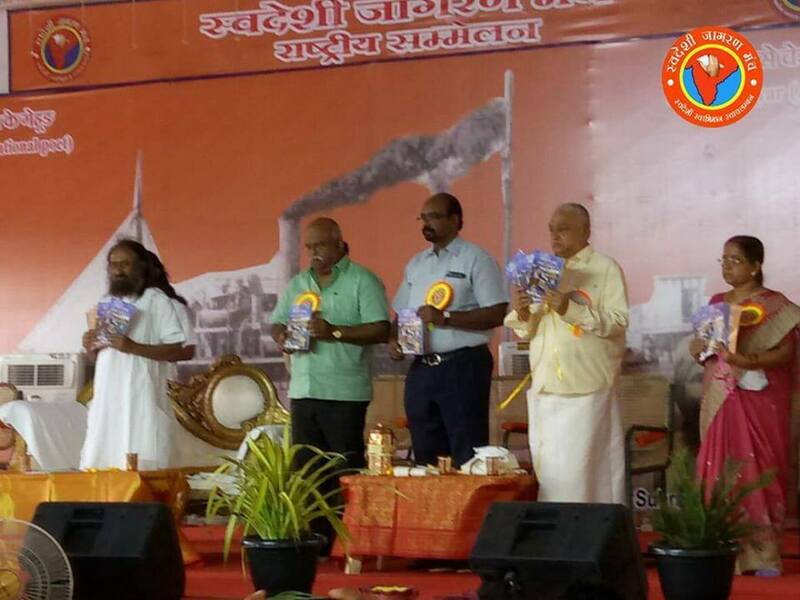 #SwadeshiSammelan is also created for this purpose. 45 social media cyber warriors are working throughout the country. Shri Satish Kumar (A.B. 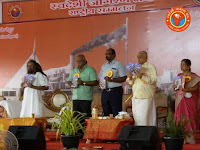 Sah Vichar Vibhag Pramukh), Shri Chidambaram (grandson of Shri V.O. Chidambaram), renowned industrialist Shri V.V. Muthu also addressed the delegates. 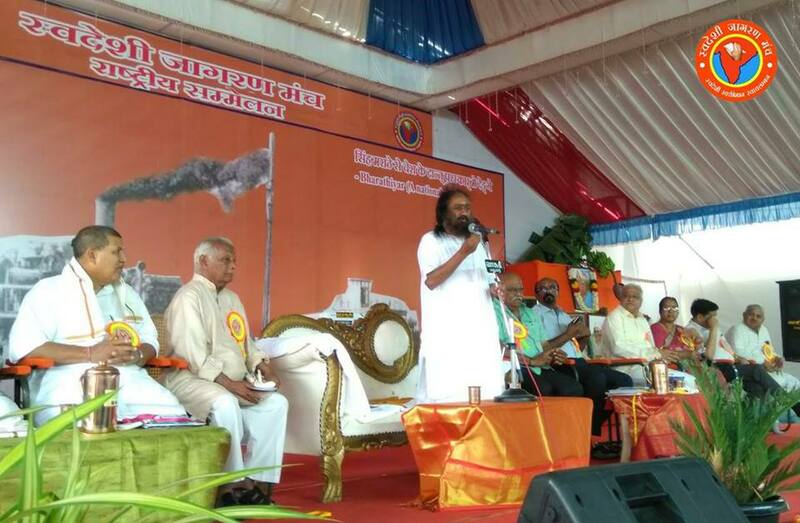 Shrimati Vidya bala ji conducted the inaugural session, Smt. Uma Murgan gave the vote of thanks. National Co-convenor Dr. Ashwani Mahajan, Prof. B.M. Kumarswami, Shri Saroj Mitra, Shri R.
Sundaram, National organizer Shri Kashmiri lal, National Convenor of Women Wing of SJM Dr. (Smt.) Amita Patki, Shri Pawam Kumar (BMS), Sh. G.R. Jagdish (Vidya Bharati) were also there on the dais. 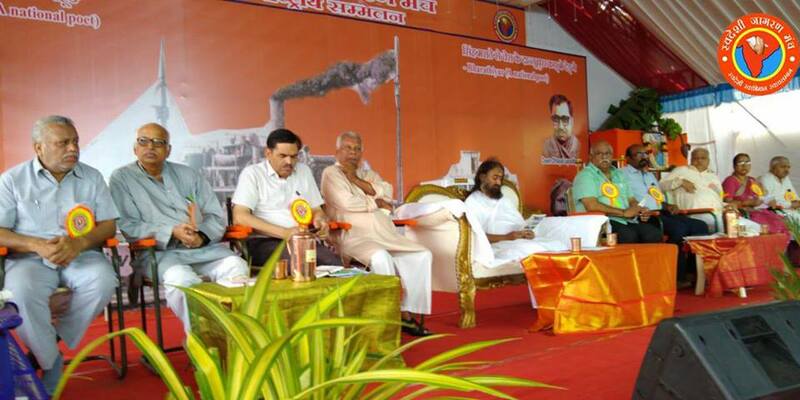 1200 delegates from all over the country are participating in this 3 days long Akhil Bharatiya Sammelan.